Mystere Paris brings to you short dress, a second skin with a fine knit and ultra-flat finishes for total invisibility. 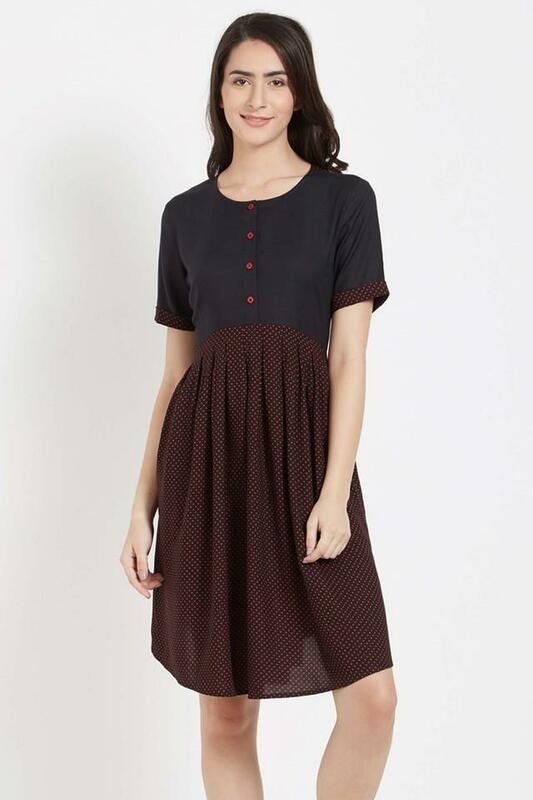 As it is round neck dotted short dress, this printed dress offers the required support. Made of good quality fabric. Unwind in this unbelievably soft, easy and comfortable short dress.